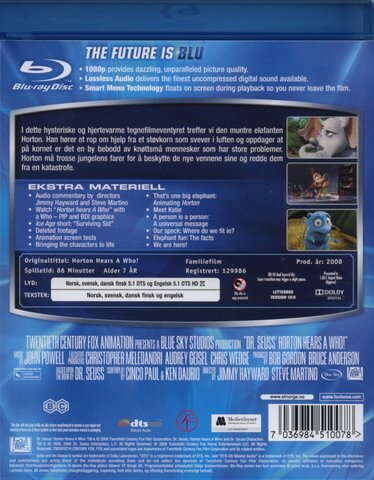 Studio 20th Century Fox Alt Title - Dr. Seuss Horton Hears a Who! 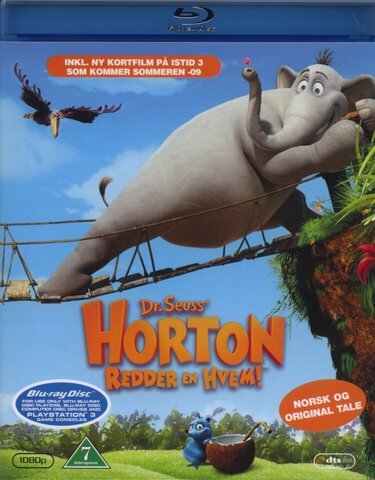 - Horton redder en Hvem! -- "Mayor Brushes His Teeth"
-- "Mayor Proclaims to Council"
-- "Jumps on Lily Pads"
-- "Watches Insect Carry Clover"
-- "Messes with a Who"
-- "Preps for Public Speech"